The Eagles said that hell would freeze over before they would play together again ... well, the devil must be shivering in his boots because they're back! This live concert features first-ever performances of four new tracks along with acoustic and electric renditions of thirteen classic Eagles songs. When the Eagles disbanded after their 1980 album The Long Run, few left much hope they’d ever reunite. An acrimonious split, the prospects seemed slight. When asked if they’d regroup, the answer came back: “When hell freezes over”. The Eagles also are in the process of creating their first full studio album since The Long Run, though as of August 2003, it’s anyone’s guess when that’ll actually hit the shelves. I saw the band on the opening night of Farewell Tour I, and as they introduced a fairly terrible new song called “Hole in the World”, they noted they’d not make much progress on the record until they left the road. To be honest, I never much cared for the Eagles, as they always seemed too mellow for my liking. I only attended the May 2003 concert because a friend mostly paid for my ticket; I’ll go see anyone if it’s inexpensive or free, so I figured it’d be interesting to see the Eagles despite my general disinterest in their music. I can’t claim their show won me over, but they put on a solid performance that did crack my resistance to some degree. I grabbed the band’s CD boxed set entitled Selected Works 1972-1999. To my surprise, I found that I preferred their mellower work to the rock songs. Maybe that’s because when the Eagles rock, they don’t do so terribly convincingly. The more subdued songs seem to be their forte, so those work better. 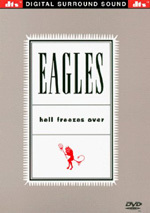 Fans of the Eagles’ softer side will likely be very pleased with Hell Freezes Over, a document of their 1994 reunion. Filmed live in a studio for initial presentation on MTV, the DVD mixes then-new material with some golden oldies and solo work. 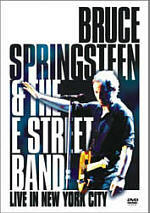 Shot on April 25th and 26th, 1994, the program opens with then-current interviews from bandmembers Don Henley, Don Felder, Joe Walsh and Timothy B. Schmit. (Glenn Frey remains curiously absent.) The musicians discuss the reasons for their reunion as well as some other issues, and we see a bit of rehearsal footage. Then we launch into the concert itself, or at least an edited version of the two performances. The 17 songs cover the band’s repertoire from their origins through then-new material created for this project and tour. From 1972’s self-titled debut we hear one song: “Take It Easy”. We find the title track from 1973’s Desperado along with “Tequila Sunrise”. Nothing shows up from 1974’s On the Border or 1975’s One of These Nights, but 1976’s blockbuster Hotel California offers a slew of track. We find the title tune along with “Wasted Time”, “Pretty Maids All in a Row”, “The Last Resort” and “Life In the Fast Lane”. Off of 1980’s ironically titled The Long Run we get “I Can’t Tell You Why” and “In the City”. As for the new tracks, “Learn to Be Still”, “Love Will Keep Us Alive” and “Get Over It” all come from the band’s reunion sessions. Finally, we find some solo work. “Help Me Through the Night” originated on Walsh’s 1987 release You Can’t Argue With a Sick Mind, while both “New York Minute” and “The Heart of the Matter” first appeared on Henley’s 1989 hit The End of the Innocence. As I noted earlier, my experiences with the Eagles’ boxed set showed that I preferred their quieter music to their attempts at real rock tunes. Since Hell mostly keeps things quiet, why do I feel moderately dissatisfied with the results? Probably because it keeps things too quiet for too long, and it doesn’t spice up the proceedings until the very end. Of the 17 songs, only four of them seem fast and upbeat. 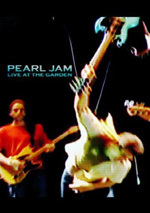 The DVD’s first six songs stay largely acoustic, and even when they start to pull out the electric guitars, the material remains subdued. Not until we get to the lively – and at that point, very welcome – “Take It Easy” do we find something that lifts us out of these doldrums. Unfortunately, the thrill doesn’t last long, since we quickly run to the end of the show. At least this method means that the rock songs come across as rougher and harder-edged than they otherwise might. After all that mellow gold, the mild rock of “Life In the Fast Lane” and “Get Over It” feels like a night at the Ozzfest. So much mellow music made me eager to hear something more pointed, and this gives the smattering of rock tracks a greater impact. I won’t say that the quieter tracks have anything wrong with them on their own. I don’t like the acoustic version of “Hotel California”, but most of the other soft songs seem pleasing in general. The then-new “Love Will Keep Us Alive” appears overly wimpy, but others such as “Pretty Maids All In A Row” and “Tequila Sunrise” satisfy. It’s simply the monotony of the presentation that harms the program. While I do think the Eagles are at their best with the quieter songs, Hell Freezes Over offers too much of a good thing. Had the editing spiced up the order better, the show would seem more satisfying and varied. As it stands, Hell includes some reasonably good music but it can be tough to take in one sitting for it all starts to sound a lot alike. The Eagles: Hell Freezes Over appears in an aspect ratio of 1.33:1 on this single-sided, single-layered DVD; due to those dimensions, the image has not been enhanced for 16X9 televisions. The picture suffered from only some minor concerns and mostly looked terrific. All of the issues related to sharpness. The majority of the program came across as nicely detailed and well defined. However, wider shots displayed some modest softness and seemed less distinct than I’d like. Some light edge enhancement cropped up, and that likely caused this slight fuzziness. Unlike many 4X3 concert programs, however, I saw no problems with jagged edges or shimmering. Musical performances often suffer from those issues, largely due to the guitar strings. Here all of these looked tight. Source flaws also seemed absent, as I noticed no defects or video artifacts. Hell didn’t present a sensational palette, but the colors looked good nonetheless. The tones remained nicely natural and warm throughout the show. The colored lighting was firm and clean, and I noticed no issues due to bleeding, noise, or other issues. Black levels were also reasonably dense and rich, and low-light shots displayed appropriate clarity without excessive darkness. Hell Freezes Over featured a generally fine visual presentation that occasionally looked superb. Over the years, Hell Freezes Over earned a reputation as a stellar auditory experience. These ears can’t argue with that assessment, as the concert sounded absolutely terrific. As one might expect with a live musical performance, the soundfield featured the front speakers most heavily. However, the surrounds contributed a lot more than just the usual crowd noise. Varying amounts of percussion and secondary musical elements also popped up from the rear. Though this could have become gimmicky, it didn’t, and the impression remained natural and well integrated. As for the material from the front, those features blended together wonderfully well. Lead vocals stayed firmly – and appropriately – anchored in the center channel, while backing vocals spread smoothly across the speakers. The instrumentation seemed nicely localized but not excessively discrete, so the whole package melded together cleanly. The soundfield offered a seamless and natural presentation. The quality of the audio also seemed excellent. Vocals were fantastically firm and natural. They appeared very up front and concise and lacked any signs of problems. All instruments came across as accurate and fully developed. Highs displayed good bite and clarity, while bass response was deep and tight. All in all, the audio of Hell Freezes Over seemed simply outstanding. Note that my grades and the comments above didn’t reflect the “behind the scenes” segments that opened the DVD. Those seemed decidedly less clear and vibrant, but I didn’t think of them as part of the proper show. I only considered the actual concert pieces when I evaluated the DVD’s picture and audio. Hell Freezes Over includes just one extra, and it’s only available to those with DTS decoders. Those fans can listen to an audio-only presentation of Seven Bridges Road. Originally from 1980’s Eagles Live, the song itself does little for me, but the quality remains very high, so fans should be happy with this addition. One note about the audio: if you select DTS when you insert the disc, don’t skip the opening menus! I did this and found that the program wouldn’t run with DTS sound. Only when I let the stupid menus run their course could I actually view the concert with 5.1 audio. This is a weird glitch, and maybe it only affects some players, but it caused me some real consternation. Eagles fans likely rejoiced in 1994 when the band reunited for a tour and some new music. Hell Freezes Over documents some early performances in that era, and it does so reasonably well. However, the setlist strongly favors the group’s softer side, and this makes the program less than scintillating. 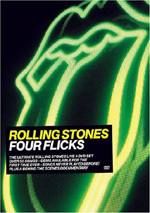 The DVD presents generally solid picture with excellent audio. The package skimps on extras, however. Those with a strong affinity for the Eagles – or those who just want to get a disc that shows off their system’s 5.1 audio capabilities – will like Hell Freezes Over, but I wouldn’t recommend it to new fans.